Amelia is a typeface created by Martin Sommaruga and published by TipoType. It is an elegant geometric font that you can work on text or display. This family font has 16 fonts and also you have a UP version. 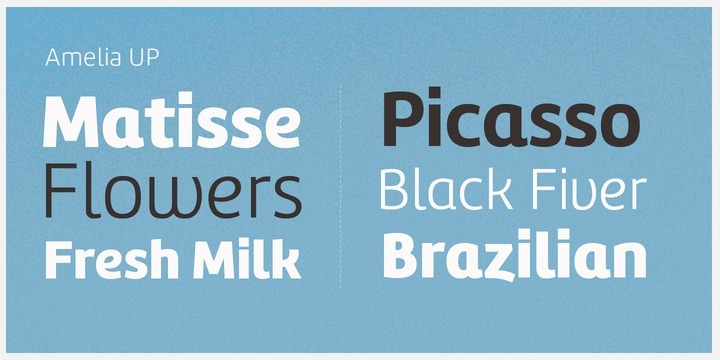 A font description published on Friday, February 22nd, 2013 in Fonts, TipoType by Alexandra that has 4,835 views.